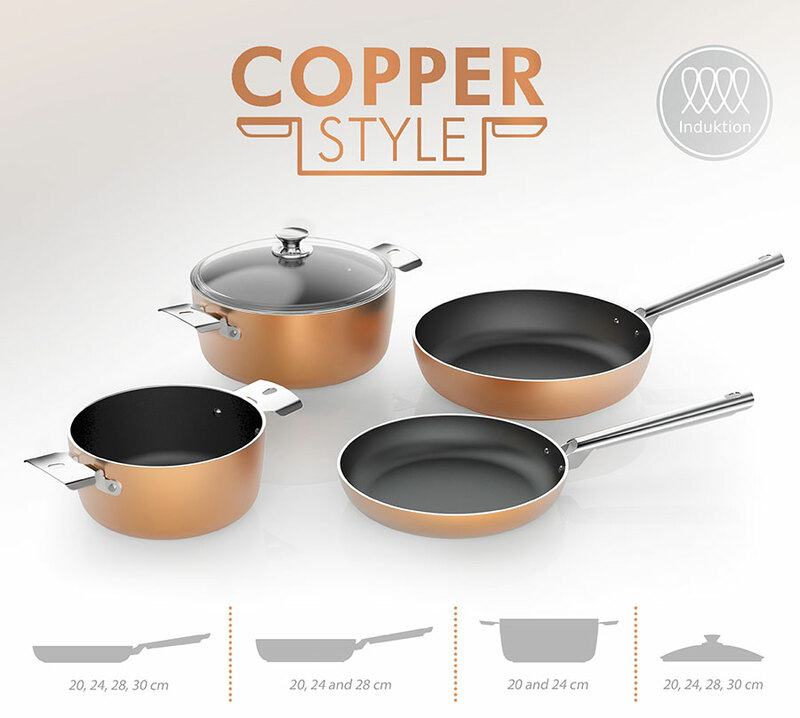 Forged aluminium with non-stick coating, external finishing copper effect resistant to high temperatures. Ergonomic stainless steel handles insuring an oven use. Suitable for all hobs including induction.